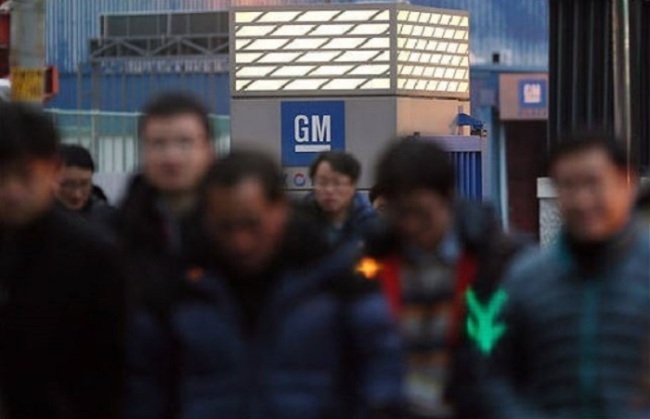 GM Korea was given the green light Tuesday by the Korea Development Bank to proceed with the controversial setup of an independent research and development entity here, ending a monthslong tug-of-war since GM shut down a factory here this February as part of global restructuring. In return, GM Korea reaffirmed its long-term commitment, which centers on its plan to make Korea General Motors’ production base for all-new sub-compact SUVs and all-new crossover utility vehicles. GM Korea’s unionized labor, on the other hand, lashed out at the settlement, arguing it was excluded in the decision-making process. It said it would prepare to stage a strike Wednesday in Incheon, where GM’s factory is located. “After examining the feasibility of the standalone entity, we expect it to increase demand for local auto parts, create new jobs, and foster growth in Korea’s auto parts industry,” said Chairman of KDB Lee Dong-gull in a meeting with reports at the KDB headquarters in western Seoul. To wrap up the spinoff as soon as possible, GM Korea held a board meeting and a shareholders meeting on Tuesday morning, and passed the establishment of GM Technical Center Korea. Meanwhile, the KDB dropped its injunction filed against procedures regarding the spinoff. In the lead-up to the settlement, KDB agreed last week to complete recapitalization of the remaining $375 million out of the $750 million it promised in a rescue package inked in April. “Now it is critical that all stakeholders do everything they can to deliver these important programs -- and also to support turning around the financial performance of our operations, to be sustainable and profitable for the long term,” said GM International President Barry Engle in a statement released shortly after KDB’s announcement. To put an end to the discord, Engle met with KDB’s Lee and Rep. Hong Young-pyo of the ruling Democratic Party of Korea earlier this month to seek approval for GM Technical Center Korea. Parties involved -- GM Korea, the automaker’s second-biggest shareholder KDB, GM’s labor union and politicians -- had locked horns on the standalone R&D body. The plan ignited vehement opposition from the union because it was not included in the April deal in which GM vowed to carry out its business here in the long term. At the GM Korea shareholders meeting on Oct. 19, shareholders voted on the spinoff despite the absence of representatives of the KDB, who were blocked by members of the union from attending. The union claimed GM was laying the groundwork to pull out of Korea, while the KDB and GM Korea reviewed taking legal measures against related parties, further complicating matters. The KDB filed an injunction against GM Korea’s spinoff vote, delaying the automaker’s launch of GM Technical Center Korea, initially slated for Dec. 3. The union said it will stage an eight hour strike -- divided into two four-hour sessions, one at noon and one in the evening -- on Wednesday at the GM Korea Incheon factory.